Brett Patrick Dalton (born January 7, 1983) is an American actor. 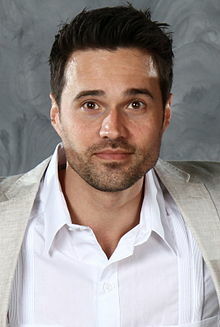 He is best known for playing Grant Ward and Hive in ABC's series Agents of S.H.I.E.L.D., as well as Michael Munroe in the 2015 video game Until Dawn. I used to go to the comic store all the time. I was into comic cards, which are essentially baseball cards for comic book heroes. They have these cool stats on the back. I had collections of these things. I still have a lot of my collection at home. We all have our secrets. We all have our vulnerabilities. I'm really obsessed with 'Ramsey's Kitchen Nightmares.' I really don't know why. I've owned mopeds in the past.